New World monkeys don’t cease to astonish. 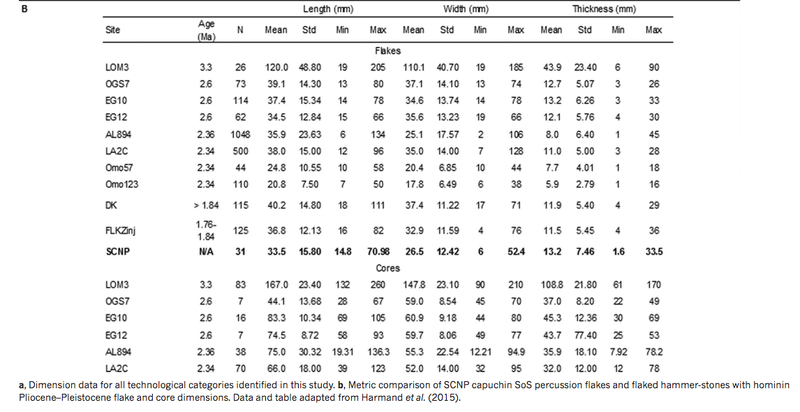 Phylogenetically most removed from modern humans, they nevertheless display a whole array of uniquely or predominantly human characteristics, among which most important are cooperative breeding, paternal investment, pair bonding, rudimentary language, and manual dexterity (see more here). Advanced manual dexterity was detected among genus Cebus, and now a new study of bearded capuchin monkeys from its sister genus Sapajus describes their sophisticated production of stone tools. 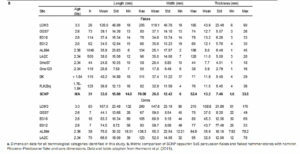 While humans are genetically different from bonobos by 1.2% and from capuchin monkeys by more than 10%, it’s the latter’s stone tool production skills that reach early hominin levels. Not only have capuchins have falsified the fundamental premise of human cultural evolutionism, namely that manual dexterity and deliberate stone tool production separate humans from primates, they have also undermined the standards by which archaeologists identify human lithic activity. 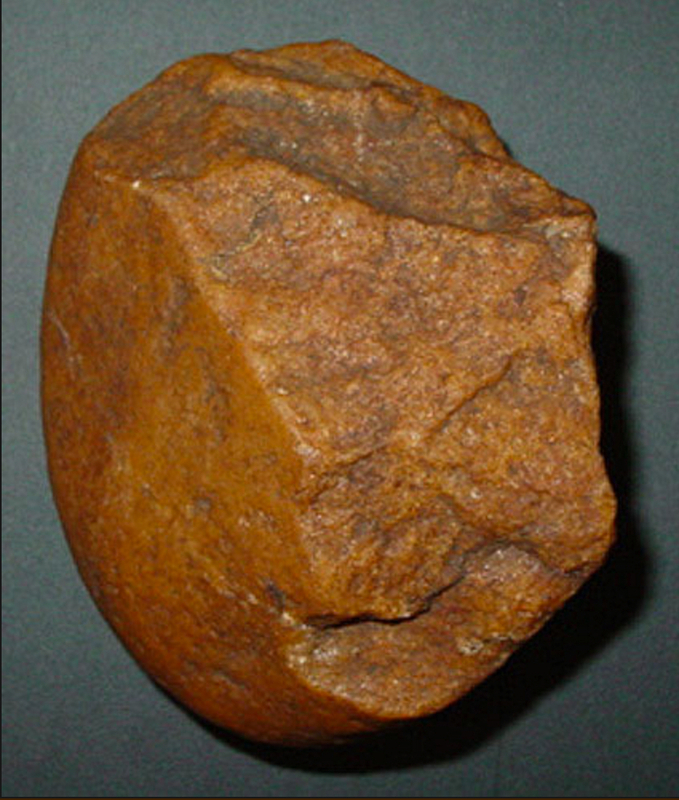 In addition to the traditional division of lithic finds into artifacts (human-produced stone tools) and geofacts (naturally modified stone), archaeologists will now have to differentiate between anthropoartifacts and zooartifacts. 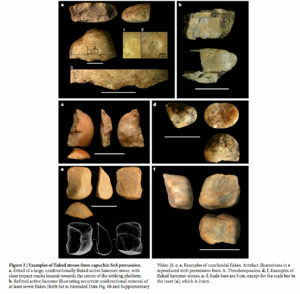 On the one hands, some of the lithic finds proposed as evidence of ancient human habitation in South America may end up being products of capuchin labor. On the other hand, some of the lithic finds that don’t meet the Old World hominin criteria for an artifact may nevertheless have been utilized by modern humans. The visible boundaries between humans and primates have become murkier. 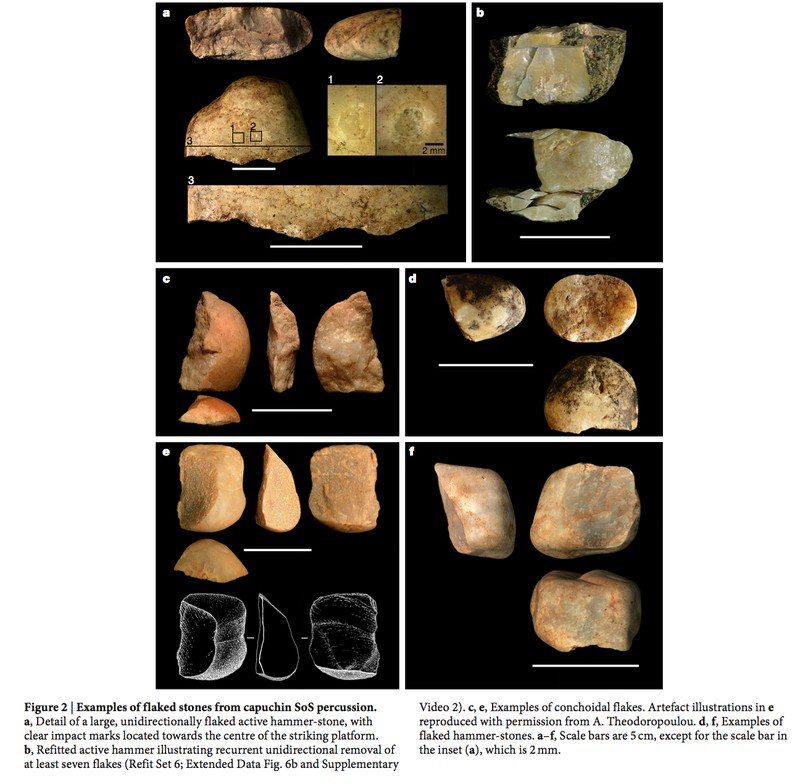 Now we need to explain why less refined core tools found in the Americas are often associated with “stone lined hearths” a technology missing in earlier homo finds until Hss arrived on the scene.